A directory of Amish furniture in Kentucky Thousands of Amish call Kentucky home, among them many woodworkers. A number of Kentucky Amish furniture makers are found in the Munfordville/Horse Cave community, the largest in the state. Amish furniture is within range of Louisville, Lexington, Bowling Green, Owensboro, and other Kentucky cities, sold both by Amish and non-Amish furniture retailers. Amish have a long tradition of creating fine woodcraft for the bedroom, living room, kitchen, and other rooms of the home. Gazebos, sheds, playhouses, and other outdoor furniture items also fit the Amish repertoire. Amish-made furniture in Kentucky’s largest Amish community. Specializing in Amish outdoor furniture. A complete line of Amish crafted heirloom home and office furnishings. Amish furniture dealer with stores in Ohio as well as one Kentucky location. Custom furniture craftsmanship as well as custom cabinetry work. Amish furniture line includes bedroom, kitchen, dining and living room pieces (tables, chairs, hutches, huntboards, beds, dressers, mirrors, rockers, entertainment centers, loveseats, computer desks and more). Furniture styles include Shaker, Santa Fe, Mission, Queen Anne, and traditional styles. 2644 South Fork Creek Rd. Central KY Amish furniture seller. Occasional tables, benches, nightstands, dressers, coat stands, pie safes, quilt racks, gun cabinets, rocking horses and chairs, and more. Louisville Amish furniture dealer. Hardwoods offered: Oak, Quarter-Sawn Oak, Cherry, Hickory, Maple, Walnut. Custom-built furniture by Amish artisans. Furniture line items include curio cabinets, stools, jewelry armoires, sleigh beds, and a full line of bedroom, living room, dining room, and office furniture. 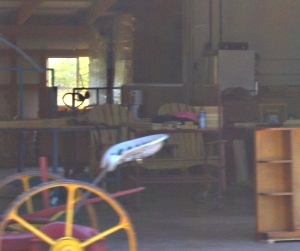 Amish-owned retail furniture business in west-central Kentucky. Furniture for the home and outdoors. Lexington Amish furniture retailer, selling Amish-made furniture in a range of styles, including Shaker, Mission, Arts and Crafts, French Country, Early American, and contemporary styles. Custom design including hardwood construction and a choice of over 50 stains and paints. Furniture ordered constructed by Amish craftsmen within weeks. Amish made chairs, benches, outdoor furniture, den, living room, kitchen, bedrooms and more. Amish furniture dealers in other states can be found at the Amish Furniture Guide main directory. Live in Louisville? Try our Amish Furniture Louisville guide for info on area furniture outlets and nearby Amish communities. Note to Kentucky residents: Please be sure to check opening hours of any Amish furniture businesses listed in this guide before traveling long distances to visit them. While we strive to keep this directory up-to-date, business locations and availability can change. Not responsible for changes to information. Kentucky’s 30-plus Amish communities are home to numerous Amish woodworkers and furniture workshops. Amish furniture shops are typically found at the home, often in a small nondescript building located right on the main property. Amish appreciate the home setting for work. Being able to craft furniture with family nearby or, often, working right along in the shops, is something Amish highly value. Working at home–as they have long done on the farm–means greater control over the work environment and an ability to limit negative worldly influences. Amish furniture is held in high regard by its buyers. A few things account for this: for one, the level of quality of Amish furniture is high. Kentucky Amish furniture makers, like their counterparts in other states, take satisfaction in work well executed. Producing and selling a quality product is a high goal of every Amish woodworker. A Christian belief in doing well for others underpins good business practice in Amish society. Amish furniture is generally regarded to be high quality for another reason–the materials used. Hardwoods are typical in Amish woodworking shops in Kentucky and elsewhere. Quality solid woods used range from oak to cherry, maple to hickory to quartersawn oak and more. Solid construction with careful attention to detail–including dovetail joinery and painstakingly applied furniture finish–all contribute to helping Amish furniture run ahead of the pack. Potential Amish furniture buyers, with the idea that Amish woodworkers only create the simplest styles, will be surprised. While it’s true that Amish craftsmen produce many of the classic furniture styles, including Queen Anne, Mission, Shaker, and others, Amish furniture artisans have displayed an admirable range, being able to produce a variety of contemporary styles as well as to innovate new designs. Amish furniture makers, when interviewed, have noted that the ability to adapt to the market and produce attractive new products, is one key to success in the competitive furniture industry. A visit to an Amish furniture showroom in Kentucky, where the many different lines of Amish craftsmanship can be viewed, can be eye-opening. In addition to this furniture diversity, Amish craftsmen also produce custom-made pieces to fit the needs of the individual customer. Finding Amish furniture in Kentucky is easy. To begin with, there are numerous non-Amish furniture retailers in the state, and within reach of major cities like Louisville and Lexington, among others. Non-Amish or “English” partner with Amish furniture craftsmen to distribute Amish handiwork, a win-win arrangement that has helped to fuel the growth of Amish furniture in the Bluegrass State and nationwide. For those buyers who’d like to take things a step further, there is also the option of visiting an Amish furniture shop in Kentucky. People are often surprised to learn that KY has one of the largest Amish populations nationwide, home to roughly 8,000 Amish (8th-biggest in the nation). Kentucky Amish communities can be found in numerous locations, with the largest near the towns of Munfordville and Horse Cave in Hart County in central Kentucky. Other noteworthy settlements in the commonwealth are to be found in Crittenden County, Barren County, and Christian County, as well as near the town of Guthrie in southern Kentucky. Many of these KY Amish communities are home to Amish woodworking shops. The bottom line is that whether you’d like to buy Amish furniture at the source, or via a non-Amish dealer, Kentucky provides many options for anyone seeking Amish woodwork. Want to find Amish furniture from the comfort of home? Search a wide selection of Amish and Mennonite-built furniture online at Dutchcrafters.com. This Amish-owned store in Breckinridge County sells indoor furniture and outdoor furniture. I’m not interested in group classes, only private instruction, and I understand the substantial cost for such instruction. I’m interested in learning how to work-wood in the more traditional sense, in an effort to create better pieces of furniture. I have been creating furniture using hand tools (various planes, spokeshaves,scrapers etc..) mostly, but not exclusively. I’m interested in learning more on the subject as I want to transition to hand tools exclusively. Learning to create better hand-cut joinery is at the top of my list of woodworking dilemmas. I’m 30 and have been attempting to work wood for less than two years. I have found myself in a spot where literature is not enough, and think I would benefit greatly from hands-on instruction. Specifically from an Amish instructor as Amish furniture is regarded world-wide and the benchmark of fine furniture. I’m serious about my desire to learn and strengthen my skills in the craft of creating furniture. I have an understanding that most machines work at wood, not with it, and I want to get away from them completely. I grew up on my family farm in KY and represent the 7th generation to do so. My family has been a steward of these 1000 acres since the 1700’s when it was attained as a land-grant. All of the wood I work with comes from non structural bearing parts of the older barns, and is predominantly white oak. Are there Amish Furniture stores northeast of Lexington, Ky on the way to Maysville, Ky? We are interested in obtaining information about having red oak hardwood laid in our living room and dining room. The total area covered by these two rooms is about 515 sq feet. Our foyer is between the living room and dining room. The foyer already has red oak hardwood flooring. This 110 sq foot area would need to be sanded and finished to match the new hardwood in the living room and dining room. Is there an Amish business in Kentucky that could give us an estimate on the cost and tell us more about how they work to install hardwood floors? We live in Franklin, TN which is just south of Nashville which is not too far from Guthrie County or Christian County in Kentucky. Who can I speak to about getting a Willett similar queen bed made of cherry? cherry Jackson press. She said she bought it about 7 yrs. she paid for it and doesn’t know what to ask for it. a brand new, cherry Jackson Press. bar. Also, I do not need to be notified as suggested below. I cannot use any more furniture except this Jackson Press. idea of the average cost of a table this size with 4 chairs. Thanking you for you help in advance. Looking for information on someone building either a pergola or gazebo at my home in Louisville, Ky. Looking for pictures and design ideas. Bill you might try this link for info on an Amish gazebo maker not too far from Louisville (Miller’s Wood Products). Since Miller’s is an Amish company, and I don’t think they have a 3rd party web presence, I don’t think you’ll find much from them online regarding photos. But I would assume they could make standard styles that you might find elsewhere online (try a Google image search of “gazebo styles” or “amish gazebo styles” to give you an idea of what is common). Bill, you could check out the Berlin Gardens website in Ohio. There you can find the nearest dealer by zip code, a 44-page gazebo catalog, design choices, and a pergola catalog. Berlin Gardens was founded by an Amish man. They make gazebo kits, which are shipped to other businesses and assembled, or you could assemble it yourself. One place close to Louisville, KY that sells the Berlin Gardens gazebos and could order pergolas is Dutch Heritage Furniture Gallery, 1300 Old US 60 Loop, Irvington, KY 40146-5890, (270) 547-2999. Bill, I thought you might be interested in this brochure, because it has pictures and line drawings of LuxCraft gazebos, and options to think about when ordering, even though Amish Swings and Things is located in Grafton, Ohio, and has local delivery only, no shipping. Donna you’re only about a half hour from the largest Amish settlement in your state. I would try one of the businesses listed above with a Munfordville address. I’d be surprised if you couldn’t find something in that community. There is an Amish furniture store next to the big Amish salvage grocery store on Hwy 31W just a few miles south of E-town. They might have one or know where to get one. As Erik suggested, you also might try the Munfordville/Hart County Amish settlement. I would suggest going to Detweiler’s which is north of Cub Run about a half mile or the Cub Run Hardware (Amish)at the four way intersection in Cub Run. I hope you find what you’re looking for! I can’t believe I have been in this are many times and had no idea about all the Amish woodworking and the large settlement. I’m happy to get this info and will take another road trip to the area. I’m curious to know, can you buy at the hardware store or nearby? Anything else they offer? Is this near Scottsville? I noticed the 31W near E-town. Looking for someone who can build me a plank door with two decorative brackets and an easy speak door that opens that has iron bars in front. Need it built out of wood that will handle the weather and can be painted so I can paint it to match my shutters. I can draw a rough picture and send if anyone thinks they may be able to do the project. I am interested in having custom shelving installed into our home library. Is there anyone that does this type of work? We live in central KY (near LEX) and would likely need to have measurements made, etc. Our family was just in Cub Run, KY this past weekend looking for an Amish woodmaker. In asking around, we found Miller’s Wood Products owned by Andrew and Ruth Ann Miller. He has 2 huge shops. One for making things and the other has furniture in it (bedroom sets, dining sets, tables, rocking chairs, benches, stools, etc. Very nice Amish couple! Andrew was very helpful in helping us with our purchase. He builds some furniture himself (benches, barn doors, and some other things). He also orders from Holmes County, Ohio. He has many catalogs to look through! If you could post his information on your site, I think others would find it very helpful! One big branch of chestnut wood for sale. Not for fire wood but for being made for furniture. My daughter lives in Willisburg and would like a queen size bed. Is there someone close to this area she could purchase or have a bed made. I was considering this as a Christmas gift to her. Thank you. Michelle Gallant: I have two suggestions: Call the Harvest Country Market (Amish bulk food store) which is at 1347 Polin Road, Willisburg, phone 859-375-9219. Ask them about the availability of Amish-made furniture.